Cycling, softball and Skee-Ball (wait, is that a sport?). 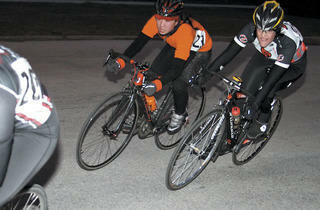 This city’s awash with bikers, but only some will be man (or woman) enough to show what they’ve got in these crit races. 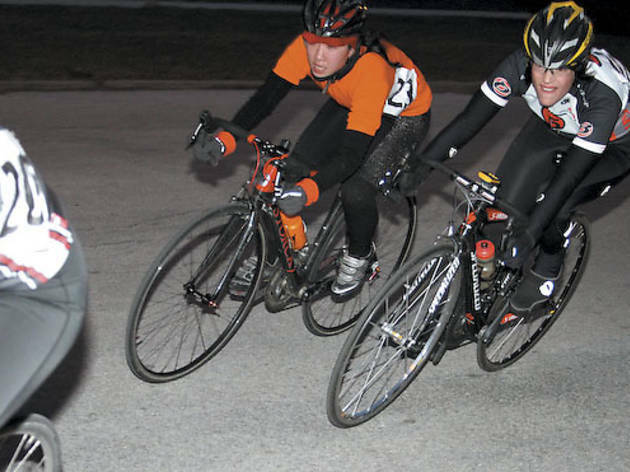 Cyclists loop the beginner-friendly track around Calumet Park (S Crilly Dr and S Ave G) for four nights, Mon 26–Thu 29, starting at 6pm. If registration sells out online, arrive early to nab ten available spots for each field on all four days. Claiming to serve more than 1,000 annual softball teams, Players is the go-to organizer for the granddaddy of rec sports. Spring softball leagues start April 7–27 and take place in a neighborhood park near you. Don’t worry about a potentially rainy spring: Players guarantees each team at least six games, including one playoff game. This nostalgic arcade activity won’t award tickets to trade in for plastic tchotchkes, but winners get the adult equivalent: free beer. Join a 12-player singles-friendly team; each contains six guys and six girls ages 22–42. The seven-week Thursdays league includes scores of post-game partying at Sluggers (3540 N Clark St). An initial event takes place April 16 at 7pm.